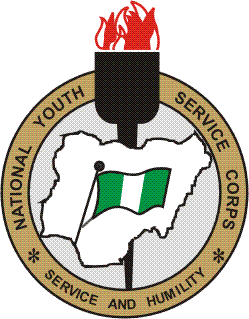 NYSC is a compulsory one year service to Nigeria. One is required as a graduate of any recognised university in Nigeria to serve his or her nation. Before prospective corp members gets their call-up letters for service, they would like to know how much states would pay to Youth corpers serving in the state. The truth of the matter concerning NYSC allowance is that most states that are considered unsafe for Youth corpers hardly pay state allowance, while the states considered best states for serving as NYSC corp members pay corpers from N5000 naira to N15k depending on the place of posting. Please note this current list of NYSC Allowance for the different states In Nigeria might increase or decrease as time goes on. Below is a list of state Allawee in Nigeria for serving corpers. 5. Bauchi State Government pays NYSC members N1,250 Monthly. 25. Lagos state Pays N15,000 and some times N10,000 to corpers in ministry and N5000 to those in LGA. 34. Sokoto State pays N4,000 and N9,000 to those in state hospital. This list of state allawee for Youth corpers in Nigeria may not be complete or totally correct, if you feel that we omitted any Nigerian state or didn’t get any figure correctly, kindly assist us by putting the correct answer for NYSC state allowance for corpers using the comment section below.